The seasons of this year so far have been the most interesting of my life. I had the opportunity to care for my 99 year old mother in law, “Miss” Maizie Frazier Rumph Glover, of 53 years for 16 hours a day for 3 months and the experience is one that will be with me going forward. She was married to the son of a slave at a young age and had 2 sons, the youngest is my husband. She married a second time and that husband was the father that my husband knew and loved. She saw so much of this world from the small town of Bamberg, S.C and developed a caring and loving attitude about life and her fellow humans. She worked hard and shared whatever she had and whatever she had learned with others. She cooked special dishes that my sons would fight you to get generous servings. Creamy macaroni / cheese: golden brown fried chicken, sweet/sour potato salad; coconut custard and sweet potato pie; sweet iced tea and home grown vegetables. Yum! Have you been fortunate enough to sleep under a homemade patch work quilt? Then you know the love and comfort you feel snuggled under such a quilt this lady made them scrap by scrap and lovingly shared them with the people she was connected to by love or blood! She used the seasons of her life sharing her gifts of love. 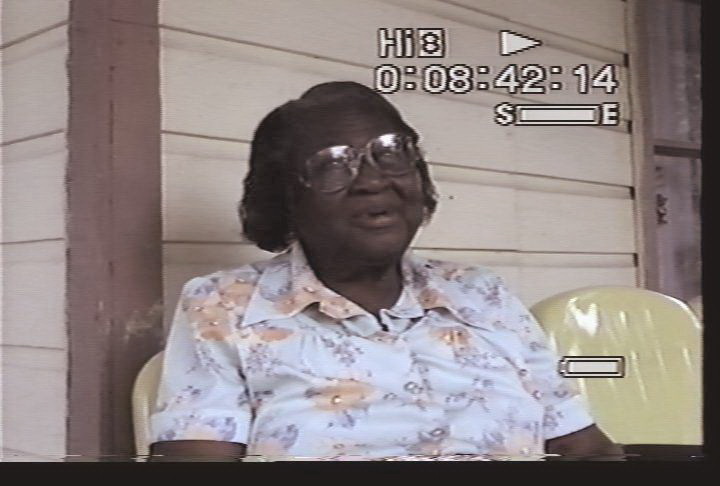 Physically there were trying and tiring days for me , but as I said at the outset it has been interesting to have known “Miss” Maizie Frazier Rumph Glover who passed away July 17, 2012 just a few months away from a planned celebration of her 100th birthday on Christmas Day 2012. You are currently reading Tribute to “Miss” Maizie Frazier Rumph Glover at JUST LIKE FAMILY.